In order for drop down menu input selections to be required, there must be a non-selectable value in place of the selectable options. 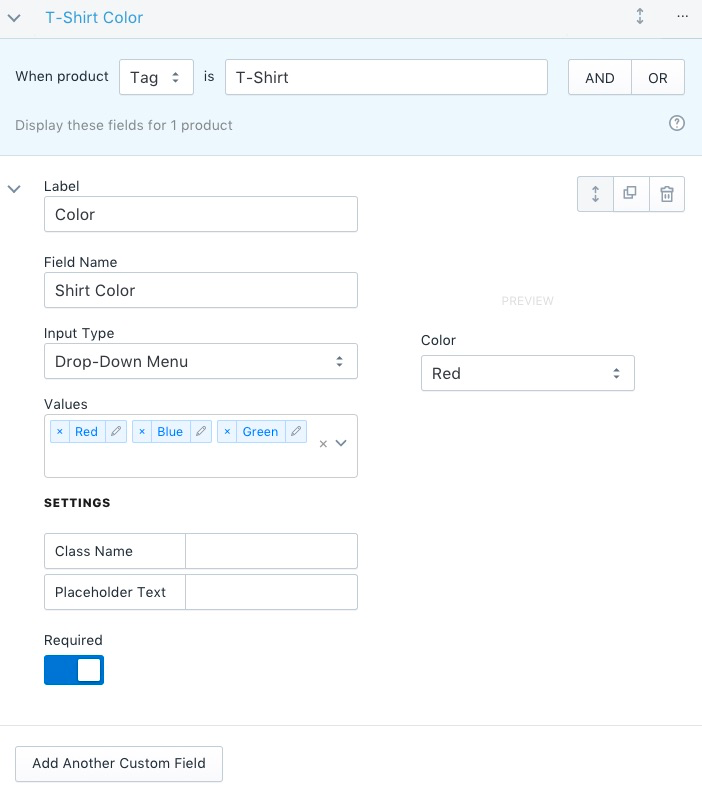 Follow the instructions below to set up a drop down menu that requires a customer's input. 1. Starting from your Infinite Options dashboard, navigate to a drop down menu option. 2. Click on the blue arrow or Label to reveal additional controls. 3. Set the Placeholder Text to any value you'd like (this will be the non-selectable value), then toggle the Required switch.